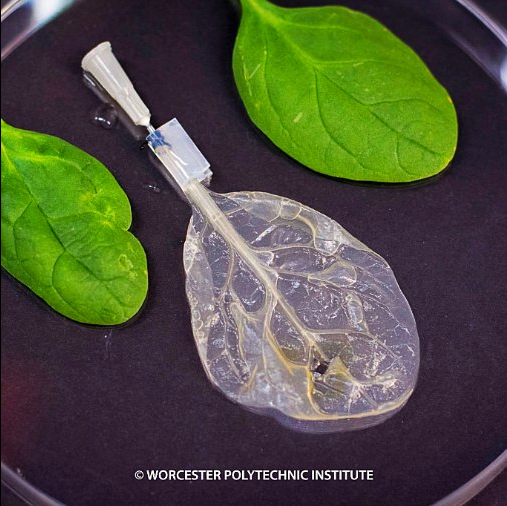 If it looks like a spinach leaf and tastes like a spinach leaf, then how can it be used to help grow heart tissue? Well, that’s exactly what researchers at the Worcester Polytechnic Institute (WPI) at the University of Wisconsin-Madison intend to do. This isn’t the first time researchers at the University of Wisconsin-Madison have tested plant-based scaffolds in place of costlier synthetic alternatives. “Plants are extraordinarily good at cultivating new tissues and organs, and there are thousands of different plant species readily available.” As noted by Dr. Murphy in a related study, “They represent a tremendous feedstock of new materials for tissue engineering applications.” In Murphy’s study, the plant-based scaffolds used were made from parsley, orchid, wasabi, and bamboo. In the latest study, however, the focus fell specifically to the spinach leaf. 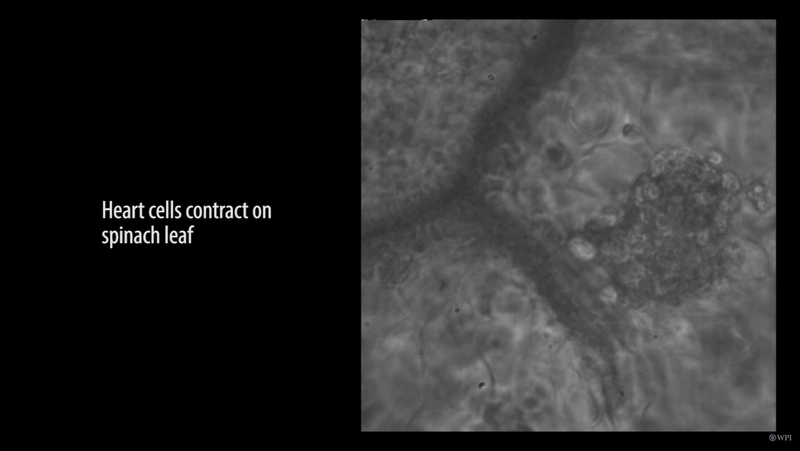 It was the similarity between the leaf’s innate vascular structure that made the researchers curious to see how it would perform as a substitute for the human vessels. Under normal circumstances, the thin veins of the spinach leaf deliver water and nutrients to the rest of its cells. It’s the hope of the WPI researchers to be able to use those veins—after being treated with an overlay of human cells—to transport blood through human tissue. While Glenn Gaudette, the Professor of Biomedical Engineering, is hopeful about this treatment’s future, he does believe that they are still a long way off from perfecting the technique. With scientists already successfully demonstrating how to use organic substances to grow human tissue and organs (like in 3D printing), this form of plant-based regeneration is a much-needed solution to the problem of building and repairing human tissue that’s as small as a blood vessel. Going forward, it’ll be interesting to see what happens as scientists make further advances in the pursuit of plant-based tissue regeneration. Coupled with tissue regeneration techniques like the MDI Biological Laboratory’s research into the quick-healing MSI-1436 drug, it opens up the possibility of merging these various avenues (synthetic and organic) to support the end goal: to develop better, quicker, and more cost efficient ways to repair human organs and tissue systems. It’s an exciting prospect, to say the least. 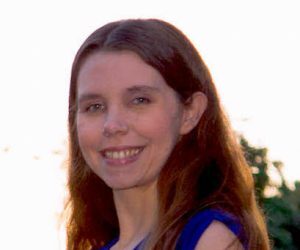 Brenda Barron is a writer from Southern California specializing in technology and business. When she’s not writing, you can usually find her outdoors with her family or knitting.